Arrested 22 members of the Hell's Angels biker gang in an operation which took place in five provinces. The majority of the arrests – 13 – were in Barcelona , with the remaining suspects taken into custody in Valencia, Málaga, Madrid and Las Palmas. The charges against them range from illicit association, to drugs and weapons trafficking, and extortion.The operation remains open, with more than 30 property searches having taken place so far. Biker clubs believed to be used by the gang members in Barcelona city and L’Hospitalet de Llobregat were also being searched, EFE reports. It’s understood that the Barcelona judge in charge of the investigation has issued a secrecy order.The joint operation by the Mossos d’Esquadra – the Catalan regional police force – and the Civil Guard confiscated military weapons and ammunition, bulletproof vests, a kilo of cocaine and 200,000 € in cash. One of the suspects is reported to have tried to use one of the firearms against a police officer as he was being arrested. 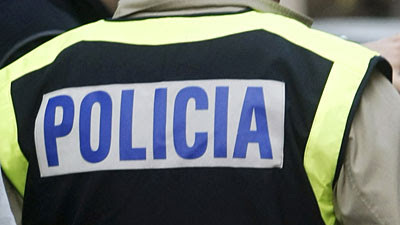 Spanish police said on Tuesday that they have arrested 22 members of the Hells Angels biker gang for drug trafficking, weapons possession, extortion and other crimes.The arrests led to the dismantlement of an "a dangerous group, with a paramilitary structure and which has international connections with other Hells Angels groups", a police statement said.It said the arrests took place in raids in several regions of the country, including northeastern Catalonia, southern Andalucia and in the capital Madrid.Officers seized guns, bullet-proof vests and a kilogram of cocaine.